The major cause of failure in discovery of new medicines is due to a fundamental lack of understanding of the biology of disease. The likelihood of a new medicine having a positive effect when tested in patients for the first time is less than 30%. In order to find new medicines for diseases, like Alzheimer’s disease, cancer and chronic inflammation, we first need to discover a new novel disease-associated protein target. 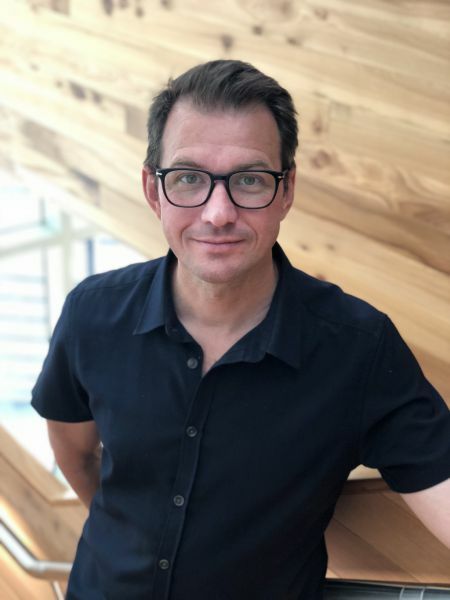 Following on from the discovery of a target, drug discovery is aimed at finding safe, effective means of modifying the target’s detrimental effects in disease. Target Discovery currently uses a number of tools to associate a protein target with a disease: genetic comparisons of diseased versus healthy individuals (figure 1A); inhibition of every possible expressed gene in a cellular model of a disease (a process known as RNA interference - RNAi, figure 1B); or the use of chemical probes in cellular or animal disease models (figure 1C). None of these approaches is perfect. Genetic comparisons are confounded by functional redundancy of genes, multiplicity of genetic effects and environmental factors. RNA interference removes an entire protein target when only a small piece of it may be important in the disease and the rest is necessary for normal, healthy functions. Chemical probes are available for only a small fraction of potential disease targets and are usually less specific than RNAi. The scarcity of chemical probes is disappointing as they are especially useful; a probe that shows a positive effect can also serve as a chemical starting point for drug discovery. If genetic or RNA interference methods identify an exciting disease target, it may still take many years to find a chemical starting point to move from target discovery to drug discovery, whereas using a chemical probe in target discovery jump-starts the process. Epigenetics is an exciting new arena for target discovery. Classically epigenetics is defined as the transfer of heritable traits from parent to off-spring other than by genetic means. Understanding of the molecular processes of the epigenetic phenomena has led to an expanded definition. Epigenetics can now be thought of as the control of gene expression via chemical marks which are written, read and erased by regulating proteins. The largest variety of epigenetic marks is written on histones (figure 2). Histones are proteins necessary to accomplish one of nature’s greatest feats: packaging two metres of DNA into a single cell which is 0.00001% as long. Like a spool, the long threads of DNA (blue in figure 2) are wrapped around a histone core (green in figure 2). Histones not only package the DNA, but they also control it. In our thread and spool analogy, the spool can be programmed with epigenetic enzymes to decide when the thread should be unwound and used in gene transcription. Epigenetic control of genes is a complex system of regulation by hundreds of enzymes that have multiple functions. There are multiple epigenetic chemical marks and the combination of marks creates an epigenetic code, similar in concept but even more complex than the genetic code of DNA. Since problems with control of gene expression are fundamental to many diseases, for example cancer, inflammation and neurological conditions, and enzymes control is the most common action of medicines, epigenetics offers a fortuitous meeting of disease biology with drug discovery capabilities and is generating unprecedented excitement in the global medical research community. But target discovery in epigenetics is more difficult than other areas. There is limited evidence from genetic comparisons of important epigenetic targets. It is hard to interpret the results of RNAi experiments as the entire enzyme is removed and epigenetic enzymes have multiple regions with multiple purposes. The few successful epigenetic drugs which are known affect only a single enzyme region. What the field of epigenetic drug discovery desperately needs is the chemical probes to use in target discovery. Research in our group is focussed on discovery of chemical probes for three classes of epigenetic enzymes, lysine demethylases (KDM, red hexagon in figure 2), plant-homeodomains (PHD, red crescent in figure 2) and bromodomains (BRD​, purple crescent in figure 2). There are over twenty KDMs and they collectively erase chemical marks important in gene regulation. One of the KDMs, KDM4B is potentially import in breast cancer and the chemical probe my research group is developing will provide a chemical starting point for drug discovery if it proves the link between KDM4B and breast cancer. PHDs read the same chemical mark that is erased by KDMs. Reading of the epigenetic mark by PHDs is involved in gene transcription but there are hundreds of PHDs and the biology of most is a mystery. There are more than sixty BRDs and they recognize a different epigenetic mark to the KDM/PHD system. At least some of the BRDs are involved in many cancers. Our Medicinal Chemistry group utilises high-throughput and fragment-basedscreening to discover chemical leads. The leads are optimised for potency, selectivity and cellular activity via iterative cycles of structure based drug design, parallel organic synthesis, biophysical testing and compound structure-activity relationship (SAR) analysis. The chemical probes developed in the group will decipher the function of epigenetic proteins in disease and provide starting points for drug discovery. By using epigenetic chemical probes in target discovery, we will dramatically accelerate drug discovery in one of the most promising new areas of biomedical research. Lysine acetylation is an epigenetic mark that is principally recognized by bromodomains, and recently structurally diverse YEATS domains also emerged as readers of lysine acetyl/acylations. Here we present a crystallography-based strategy and the discovery of fragments binding to the ENL YEATS domain, a potential drug target. Crystal structures combined with synthetic efforts led to the identification of a submicromolar binder, providing first starting points for the development of chemical probes for this reader domain family. Sulfonimidamides are an emerging bioisosteric replacement in medicinal chemistry projects, and therefore new chemistries are necessary to access this functionality. The general synthesis of CF3-sulfonimidamides from an activated bench-stable transfer reagent is described. A diverse reaction scope is demonstrated, with a wide range of nucleophilic amines being tolerated in this transformation. The CF3-sulfonimidamides obtained contain an additional diversity point, in the form a protected imine, that could be unmasked to allow late stage modifications. The polyadenosine-diphosphate-ribose polymerase 14 (PARP14) has been implicated in DNA damage response pathways for homologous recombination. PARP14 contains three (ADP ribose binding) macrodomains (MD) whose exact contribution to overall PARP14 function in pathology remains unclear. A medium throughput screen led to the identification of N-(2(-9H-carbazol-1-yl)phenyl)acetamide (GeA-69, 1) as a novel allosteric PARP14 MD2 (second MD of PARP14) inhibitor. We herein report medicinal chemistry around this novel chemotype to afford a sub-micromolar PARP14 MD2 inhibitor. This chemical series provides a novel starting point for further development of PARP14 chemical probes. Prolonged drug residence times may result in longer-lasting drug efficacy, improved pharmacodynamic properties, and "kinetic selectivity" over off-targets with high drug dissociation rates. However, few strategies have been elaborated to rationally modulate drug residence time and thereby to integrate this key property into the drug development process. Herein, we show that the interaction between a halogen moiety on an inhibitor and an aromatic residue in the target protein can significantly increase inhibitor residence time. By using the interaction of the serine/threonine kinase haspin with 5-iodotubercidin (5-iTU) derivatives as a model for an archetypal active-state (type I) kinase-inhibitor binding mode, we demonstrate that inhibitor residence times markedly increase with the size and polarizability of the halogen atom. The halogen-aromatic π interactions in the haspin-inhibitor complexes were characterized by means of kinetic, thermodynamic, and structural measurements along with binding-energy calculations. Myogenic differentiation proceeds through a highly coordinated cascade of gene activation that necessitates epigenomic changes in chromatin structure. Using a screen of small molecule epigenetic probes we identified three compounds which inhibited myogenic differentiation in C2C12 myoblasts; (+)-JQ1, PFI-1, and Bromosporine. These molecules target Bromodomain and Extra Terminal domain (BET) proteins, which are epigenetic readers of acetylated histone lysine tail residues. BETi-mediated anti-myogenic effects were also observed in a model of MYOD1-mediated myogenic conversion of human fibroblasts, and in primary mouse and human myoblasts. All three BET proteins BRD2, BRD3 and BRD4 exhibited distinct and dynamic patterns of protein expression over the course of differentiation without concomitant changes in mRNA levels, suggesting that BET proteins are regulated at the post-transcriptional level. Specific BET protein knockdown by RNA interference revealed that BRD4 was required for myogenic differentiation, whereas BRD3 down-regulation resulted in enhanced myogenic differentiation. ChIP experiments revealed a preferential binding of BRD4 to the Myog promoter during C2C12 myoblast differentiation, co-incident with increased levels of H3K27 acetylation. These results have identified an essential role for BET proteins in the regulation of skeletal myogenesis, and assign distinct functions to BRD3 and BRD4. Chemical probes are required for preclinical target validation to interrogate novel biological targets and pathways. Selective inhibitors of the CREB binding protein (CREBBP)/EP300 bromodomains are required to facilitate the elucidation of biology associated with these important epigenetic targets. Medicinal chemistry optimization that paid particular attention to physiochemical properties delivered chemical probes with desirable potency, selectivity, and permeability attributes. An important feature of the optimization process was the successful application of rational structure-based drug design to address bromodomain selectivity issues (particularly against the structurally related BRD4 protein). The JmjC histone demethylases (KDMs) are linked to tumour cell proliferation and are current cancer targets; however, very few highly selective inhibitors for these are available. Here we report cyclic peptide inhibitors of the KDM4A-C with selectivity over other KDMs/2OG oxygenases, including closely related KDM4D/E isoforms. Crystal structures and biochemical analyses of one of the inhibitors (CP2) with KDM4A reveals that CP2 binds differently to, but competes with, histone substrates in the active site. Substitution of the active site binding arginine of CP2 to N-ɛ-trimethyl-lysine or methylated arginine results in cyclic peptide substrates, indicating that KDM4s may act on non-histone substrates. Targeted modifications to CP2 based on crystallographic and mass spectrometry analyses results in variants with greater proteolytic robustness. Peptide dosing in cells manifests KDM4A target stabilization. Although further development is required to optimize cellular activity, the results reveal the feasibility of highly selective non-metal chelating, substrate-competitive inhibitors of the JmjC KDMs. Methylation of lysine residues on histone tail is a dynamic epigenetic modification that plays a key role in chromatin structure and gene regulation. Members of the KDM5 (also known as JARID1) sub-family are 2-oxoglutarate (2-OG) and Fe2+-dependent oxygenases acting as histone 3 lysine 4 trimethyl (H3K4me3) demethylases, regulating proliferation, stem cell self-renewal, and differentiation. Here we present the characterization of KDOAM-25, an inhibitor of KDM5 enzymes. KDOAM-25 shows biochemical half maximal inhibitory concentration values of <100 nM for KDM5A-D in vitro, high selectivity toward other 2-OG oxygenases sub-families, and no off-target activity on a panel of 55 receptors and enzymes. In human cell assay systems, KDOAM-25 has a half maximal effective concentration of ∼50 μM and good selectivity toward other demethylases. KDM5B is overexpressed in multiple myeloma and negatively correlated with the overall survival. Multiple myeloma MM1S cells treated with KDOAM-25 show increased global H3K4 methylation at transcriptional start sites and impaired proliferation. BACKGROUND: Histone lysine demethylases (KDMs) are of interest as drug targets due to their regulatory roles in chromatin organization and their tight associations with diseases including cancer and mental disorders. The first KDM inhibitors for KDM1 have entered clinical trials, and efforts are ongoing to develop potent, selective and cell-active 'probe' molecules for this target class. Robust cellular assays to assess the specific engagement of KDM inhibitors in cells as well as their cellular selectivity are a prerequisite for the development of high-quality inhibitors. Here we describe the use of a high-content cellular immunofluorescence assay as a method for demonstrating target engagement in cells. RESULTS: A panel of assays for the Jumonji C subfamily of KDMs was developed to encompass all major branches of the JmjC phylogenetic tree. These assays compare compound activity against wild-type KDM proteins to a catalytically inactive version of the KDM, in which residues involved in the active-site iron coordination are mutated to inactivate the enzyme activity. These mutants are critical for assessing the specific effect of KDM inhibitors and for revealing indirect effects on histone methylation status. The reported assays make use of ectopically expressed demethylases, and we demonstrate their use to profile several recently identified classes of KDM inhibitors and their structurally matched inactive controls. The generated data correlate well with assay results assessing endogenous KDM inhibition and confirm the selectivity observed in biochemical assays with isolated enzymes. We find that both cellular permeability and competition with 2-oxoglutarate affect the translation of biochemical activity to cellular inhibition. CONCLUSIONS: High-content-based immunofluorescence assays have been established for eight KDM members of the 2-oxoglutarate-dependent oxygenases covering all major branches of the JmjC-KDM phylogenetic tree. The usage of both full-length, wild-type and catalytically inactive mutant ectopically expressed protein, as well as structure-matched inactive control compounds, allowed for detection of nonspecific effects causing changes in histone methylation as a result of compound toxicity. The developed assays offer a histone lysine demethylase family-wide tool for assessing KDM inhibitors for cell activity and on-target efficacy. In addition, the presented data may inform further studies to assess the cell-based activity of histone lysine methylation inhibitors. Bromodomains (BRDs) have emerged as compelling targets for cancer therapy. The development of selective and potent BET (bromo and extra-terminal) inhibitors and their significant activity in diverse tumor models have rapidly translated into clinical studies and have motivated drug development efforts targeting non-BET BRDs. However, the complex multidomain/subunit architecture of BRD protein complexes complicates predictions of the consequences of their pharmacological targeting. 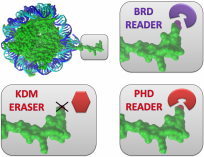 To address this issue, we developed a promiscuous BRD inhibitor [bromosporine (BSP)] that broadly targets BRDs (including BETs) with nanomolar affinity, creating a tool for the identification of cellular processes and diseases where BRDs have a regulatory function. As a proof of principle, we studied the effects of BSP on leukemic cell lines known to be sensitive to BET inhibition and found, as expected, strong antiproliferative activity. Comparison of the modulation of transcriptional profiles by BSP after a short exposure to the inhibitor resulted in a BET inhibitor signature but no significant additional changes in transcription that could account for inhibition of other BRDs. Thus, nonselective targeting of BRDs identified BETs, but not other BRDs, as master regulators of context-dependent primary transcription response. CBP (CREB (cAMP responsive element binding protein) binding protein (CREBBP)) and P300 (adenovirus E1A-associated 300 kDa protein) are two closely related histone acetyltransferases (HATs) that play a key role in the regulation of gene transcription. Both proteins contain a bromodomain flanking the HAT catalytic domain that is important for the targeting of CBP/P300 to chromatin and which offeres an opportunity for the development of protein-protein interaction inhibitors. Here we present the development of CBP/P300 bromodomain inhibitors with 2,3,4,5-tetrahydro-1,4-benzoxazepine backbone, an N-acetyl-lysine mimetic scaffold that led to the recent development of the chemical probe I-CBP112. We present comprehensive SAR of this inhibitor class as well as demonstration of cellular on target activity of the most potent and selective inhibitor TPOP146, which showed 134 nM affinity for CBP with excellent selectivity over other bromodomains. Within the last decade we have witnessed significant progress in the field of chromatin methylation, ranging from the discovery that chromatin methylation is reversible, to the identification of two classes of oxidative chromatin demethylases. Multiple genetic and cellular studies emphasize the role of members of the amine oxidase and 2-oxoglutarate oxygenase enzyme families involved in methyl-lysine in physiology and disease. 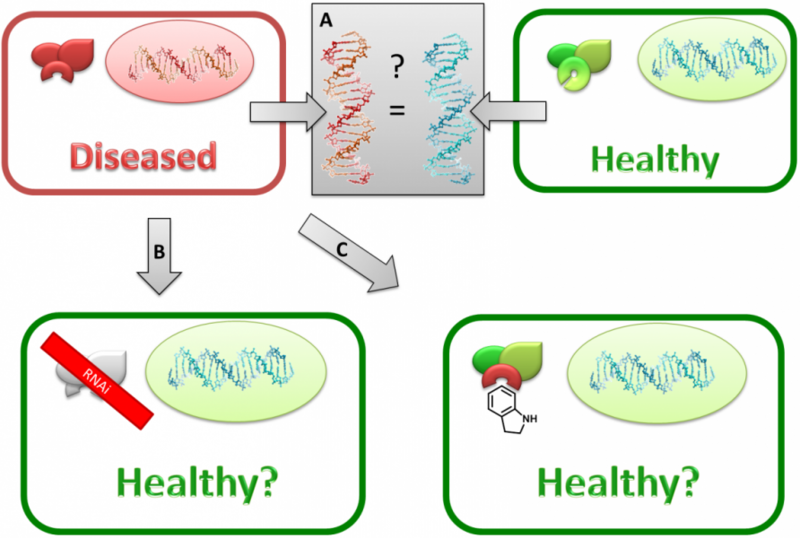 Advances in understanding of the underlying biochemistry have resulted in development of first series of clinical inhibitors and tool compounds which continue to resolve and help understand the complex relationships between chromatin modification, control of gene expression and metabolic states. The interaction between any two biological molecules must compete with their interaction with water molecules. This makes water the most important molecule in medicine, as it controls the interactions of every therapeutic with its target. A small molecule binding to a protein is able to recognize a unique binding site on a protein by displacing bound water molecules from specific hydration sites. Quantifying the interactions of these water molecules allows us to estimate the potential of the protein to bind a small molecule. This is referred to as ligandability. In the study, we describe a method to predict ligandability by performing a search of all possible combinations of hydration sites on protein surfaces. We predict ligandability as the summed binding free energy for each of the constituent hydration sites, computed using inhomogeneous fluid solvation theory. We compared the predicted ligandability with the maximum observed binding affinity for 20 proteins in the human bromodomain family. Based on this comparison, it was determined that effective inhibitors have been developed for the majority of bromodomains, in the range from 10 to 100 nM. However, we predict that more potent inhibitors can be developed for the bromodomains BPTF and BRD7 with relative ease, but that further efforts to develop inhibitors for ATAD2 will be extremely challenging. We have also made predictions for the 14 bromodomains with no reported small molecule K d values by isothermal titration calorimetry. The calculations predict that PBRM1(1) will be a challenging target, while others such as TAF1L(2), PBRM1(4) and TAF1(2), should be highly ligandable. As an outcome of this work, we assembled a database of experimental maximal K d that can serve as a community resource assisting medicinal chemistry efforts focused on BRDs. Effective prediction of ligandability would be a very useful tool in the drug discovery process. The mixed lineage kinase ZAK is a key regulator of the MAPK pathway mediating cell survival and inflammatory response. ZAK is targeted by several clinically approved kinase inhibitors, and inhibition of ZAK has been reported to protect from doxorubicin-induced cardiomyopathy. On the other hand, unintended targeting of ZAK has been linked to severe adverse effects such as the development of cutaneous squamous cell carcinoma. Therefore, both specific inhibitors of ZAK, as well as anticancer drugs lacking off-target activity against ZAK, may provide therapeutic benefit. Here, we report the first crystal structure of ZAK in complex with the B-RAF inhibitor vemurafenib. The cocrystal structure displayed a number of ZAK-specific features including a highly distorted P loop conformation enabling rational inhibitor design. Positional scanning peptide library analysis revealed a unique substrate specificity of the ZAK kinase including unprecedented preferences for histidine residues at positions -1 and +2 relative to the phosphoacceptor site. In addition, we screened a library of clinical kinase inhibitors identifying several inhibitors that potently inhibit ZAK, demonstrating that this kinase is commonly mistargeted by currently used anticancer drugs. Members of the KDM5 (also known as JARID1) family are 2-oxoglutarate- and Fe(2+)-dependent oxygenases that act as histone H3K4 demethylases, thereby regulating cell proliferation and stem cell self-renewal and differentiation. Here we report crystal structures of the catalytic core of the human KDM5B enzyme in complex with three inhibitor chemotypes. These scaffolds exploit several aspects of the KDM5 active site, and their selectivity profiles reflect their hybrid features with respect to the KDM4 and KDM6 families. Whereas GSK-J1, a previously identified KDM6 inhibitor, showed about sevenfold less inhibitory activity toward KDM5B than toward KDM6 proteins, KDM5-C49 displayed 25-100-fold selectivity between KDM5B and KDM6B. The cell-permeable derivative KDM5-C70 had an antiproliferative effect in myeloma cells, leading to genome-wide elevation of H3K4me3 levels. The selective inhibitor GSK467 exploited unique binding modes, but it lacked cellular potency in the myeloma system. Taken together, these structural leads deliver multiple starting points for further rational and selective inhibitor design. Bromodomain containing proteins PB1, SMARCA4, and SMARCA2 are important components of SWI/SNF chromatin remodeling complexes. We identified bromodomain inhibitors that target these proteins and display unusual binding modes involving water displacement from the KAc binding site. The best compound binds the fifth bromodomain of PB1 with a KD of 124 nM, SMARCA2B and SMARCA4 with KD values of 262 and 417 nM, respectively, and displays excellent selectivity over bromodomains other than PB1, SMARCA2, and SMARCA4. The acetyl post-translational modification of chromatin at selected histone lysine residues is interpreted by an acetyl-lysine specific interaction with bromodomain reader modules. Here we report the discovery of the potent, acetyl-lysine-competitive, and cell active inhibitor PFI-3 that binds to certain family VIII bromodomains while displaying significant, broader bromodomain family selectivity. The high specificity of PFI-3 for family VIII was achieved through a novel bromodomain binding mode of a phenolic headgroup that led to the unusual displacement of water molecules that are generally retained by most other bromodomain inhibitors reported to date. The medicinal chemistry program that led to PFI-3 from an initial fragment screening hit is described in detail, and additional analogues with differing family VIII bromodomain selectivity profiles are also reported. We also describe the full pharmacological characterization of PFI-3 as a chemical probe, along with phenotypic data on adipocyte and myoblast cell differentiation assays. The bromodomain family of proteins are 'readers' of acetylated lysines of histones, a key mark in the epigenetic code of gene regulation. Without high quality chemical probes with which to study these proteins, their biological function, and potential use in therapeutics, remains unknown. Recently, a number of chemical ligands were reported for the previously unprobed bromodomain proteins BRD7 and BRD9. Herein the development and characterisation of probes against these proteins is detailed, including the preliminary biological activity of BRD7 and BRD9 assessed using these probes. Future studies utilising these chemically-diverse compounds in parallel will allow for a confident assessment of the role of BRD7/9, and give multiple entry points into any subsequent pharmaceutical programs. There is increasing interest in targeting histone N-methyl-lysine demethylases (KDMs) with small molecules both for the generation of probes for target exploration and for therapeutic purposes. Here we update on previous reviews on the inhibition of the lysine-specific demethylases (LSDs or KDM1s) and JmjC families of N-methyl-lysine demethylases (JmjC KDMs, KDM2-7), focusing on the academic and patent literature from 2014 to date. We also highlight recent biochemical, biological, and structural studies which are relevant to KDM inhibitor development. The P300/CBP-associated factor plays a central role in retroviral infection and cancer development, and the C-terminal bromodomain provides an opportunity for selective targeting. Here, we report several new classes of acetyl-lysine mimetic ligands ranging from mM to low micromolar affinity that were identified using fragment screening approaches. The binding modes of the most attractive fragments were determined using high resolution crystal structures providing chemical starting points and structural models for the development of potent and selective PCAF inhibitors. The development of synthetic systems for the conversion of solar energy into chemical fuels is a research goal that continues to attract growing interest owing to its potential to provide renewable and storable energy in the form of a 'solar fuel'. Dye-sensitised photocatalysis (DSP) with molecular catalysts is a relatively new approach to convert sunlight into a fuel such as H2 and is based on the self-assembly of a molecular dye and electrocatalyst on a semiconductor nanoparticle. DSP systems combine advantages of both homogenous and heterogeneous photocatalysis, with the molecular components providing an excellent platform for tuning activity and understanding performance at defined catalytic sites, whereas the semiconductor bridge ensures favourable multi-electron transfer kinetics between the dye and the fuel-forming electrocatalyst. In this tutorial review, strategies and challenges for the assembly of functional molecular DSP systems and experimental techniques for their evaluation are explained. Current understanding of the factors governing electron transfer across inorganic-molecular interfaces is described and future directions and challenges for this field are outlined. TRIM24 is a transcriptional regulator as well as an E3 ubiquitin ligase. It is overexpressed in diverse tumors, and high expression levels have been linked to poor prognosis in breast cancer patients. TRIM24 contains a PHD/bromodomain offering the opportunity to develop protein interaction inhibitors that target this protein interaction module. Here we identified potent acetyl-lysine mimetic benzimidazolones TRIM24 bromodomain inhibitors. The best compound of this series is a selective BRPF1B/TRIM24 dual inhibitor that bound with a KD of 137 and 222 nM, respectively, but exerted good selectivity over other bromodomains. Cellular activity of the inhibitor was demonstrated using FRAP assays as well as cell viability data. The bromodomain protein module, which binds to acetylated lysine, is emerging as an important epigenetic therapeutic target. We report the structure-guided optimization of 3,5-dimethylisoxazole derivatives to develop potent inhibitors of the BET (bromodomain and extra terminal domain) bromodomain family with good ligand efficiency. X-ray crystal structures of the most potent compounds reveal key interactions required for high affinity at BRD4(1). Cellular studies demonstrate that the phenol and acetate derivatives of the lead compounds showed strong antiproliferative effects on MV4;11 acute myeloid leukemia cells, as shown for other BET bromodomain inhibitors and genetic BRD4 knockdown, whereas the reported compounds showed no general cytotoxicity in other cancer cell lines tested. The posttranslational modification of chromatin through acetylation at selected histone lysine residues is governed by histone acetyltransferases (HATs) and histone deacetylases (HDACs). The significance of this subset of the epigenetic code is interrogated and interpreted by an acetyllysine-specific protein-protein interaction with bromodomain reader modules. Selective inhibition of the bromo and extra C-terminal domain (BET) family of bromodomains with a small molecule is feasible, and this may represent an opportunity for disease intervention through the recently disclosed antiproliferative and anti-inflammatory properties of such inhibitors. Herein, we describe the discovery and structure-activity relationship (SAR) of a novel, small-molecule chemical probe for BET family inhibition that was identified through the application of structure-based fragment assessment and optimization techniques. This has yielded a potent, selective compound with cell-based activity (PFI-1) that may further add to the understanding of BET family function within the bromodomains. BACKGROUND: The growing population of elderly people living alone increases the need for automatic healthcare monitoring systems for elderly care. Automatic vision sensor-based systems are increasingly used for human activity recognition (HAR) in recent years. This study presents an improved model, tested using actors, of a sensor-based HAR system to recognize daily life activities of elderly people at home and generate an alert in case of abnormal HAR. SUBJECTS AND METHODS: Datasets consisting of six abnormal activities (falling backward, falling forward, falling rightward, falling leftward, chest pain, and fainting) and four normal activities (walking, rushing, sitting down, and standing up) are generated from different view angles (90°, -90°, 45°, -45°). Feature extraction and dimensions reduction are performed by R-transform followed by generalized discriminant analysis (GDA) methods. R-transform extracts symmetric, scale, and translation-invariant features from the sequences of activities. GDA increases the discrimination between different classes of highly similar activities. Silhouette sequences are quantified by the Linde-Buzo-Gray algorithm and recognized by hidden conditional random fields. RESULTS: Experimental results provide an average recognition rate of 94.2% for abnormal activities and 92.7% for normal activities. CONCLUSIONS: The recognition rate for the highly similar activities from different view angles shows the flexibility and efficacy of the proposed abnormal HAR and alert generation system for elderly care. Bromodomains, protein modules that recognize and bind to acetylated lysine, are emerging as important components of cellular machinery. These acetyl-lysine (KAc) "reader" domains are part of the write-read-erase concept that has been linked with the transfer of epigenetic information. By reading KAc marks on histones, bromodomains mediate protein-protein interactions between a diverse array of partners. There has been intense activity in developing potent and selective small molecule probes that disrupt the interaction between a given bromodomain and KAc. Rapid success has been achieved with the BET family of bromodomains, and a number of potent and selective probes have been reported. These compounds have enabled linking of the BET bromodomains with diseases, including cancer and inflammation, suggesting that bromodomains are druggable targets. Herein, we review the biology of the bromodomains and discuss the SAR for the existing small molecule probes. The biology that has been enabled by these compounds is summarized. Epigenetic reader domains are protein interaction modules that selectively recognize common post-translational modification on histones and other nuclear proteins such as ε-N-acetylated lysine or methyllysine/arginine residues. Interactions mediated by these effector domains result in the recruitment of gene specific transcriptional regulators. This review focusses on reader domains that recognize acetylated and methylated lysine and arginine residues. Bromodomains selectively recognize acetylated lysines residues and inhibitors have recently emerged as promising lead compounds for the treatment of cancer and inflammatory diseases, acting by specifically repressing expression of oncogenes and pro-inflammatory cytokines. Initial inhibitors have also been reported for methyllysine binding domains. Here we review recent development of this emerging target area. © 2012 Elsevier Ltd. All rights reserved. New pyrimido[4,5-d]azepines 7 are disclosed as potent 5-HT(2C) receptor agonists. A preferred example, 7b had minimal activation at either the 5-HT(2A) or 5-HT(2B) receptors combined with robust efficacy in a preclinical canine model of stress urinary incontinence (SUI) and attractive pharmacokinetic and safety properties. Based on this profile, 7b (PF-3246799) was identified as a candidate for clinical development for the treatment of SUI. In addition, it proved to be critical to build an understanding of the translation between recombinant cell-based systems, native tissue preparations and in vivo preclinical models. This was a significant undertaking and proved to be crucial in compound selection. Palladium-containing perovskites (LaFe0.57Co0.38Pd0.05O3) have been exploited as recoverable and reuseable catalysts in Suzuki coupling reactions; residual levels of Pd after removal of the catalyst by filtration are low (2 ppm) despite evidence that the reaction is occurring via a homogeneous process. Methods to allow the clean preparation of oligosaccharides were investigated using techniques that do not require conventional column chromatography or an aqueous work-up. The route was designed to provide rapid access to oligosaccharides and is suitable for automation and parallel library formation. The research has focused on the glycosidations of a range of glycosyl acceptors with various selenophenyl glycosyl donors using iodine as an activator in the presence of DTBMP, a hindered organic base. Hydroxyl-containing contaminants were removed by scavenging with polymer-supported tosyl chloride.